The Square Peg Foundation, a 501c3 nonprofit which pairs quirky off-track-thoroughbreds with individuals with special needs, was featured on the NBC News Bay Area evening segment on Tuesday. Founder and lifelong equestrian Joell Dunlap shared Square Peg’s story and the power of the mutually beneficial relationships the students and horses form. Three CARMA Placement Program horses call Square Peg home and are used to help students make physical, emotional and personal breakthroughs. Annually, CARMA provides Square Peg with a grant to help allow the organization continue its good works and promote retired racehorses as excellent companion animals. 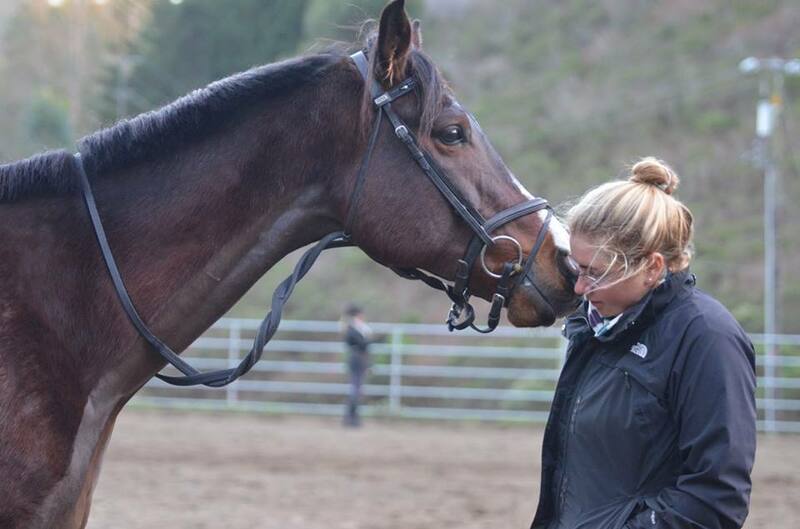 Most recently, Square Peg has taken Uluckydevil, a one eye retired racehorse that spent several months in CARMA’s care while rehabilitating from a leg injury. Other CARMA horses in the program include Seven Bridges and Mythical Storm. Watch the news segment here and follow Square Peg Foundation on Facebook for heartwarming updates.